(New York) - The apparent decision by Iranian authorities to allow women to attend the Kish Island Open volleyball tournament is a positive, if small, step in the right direction, Human Rights Watch said today. Recent media reports said that female spectators will be allowed to attend the four-day beach volleyball competition, from February 15 through 18, 2017. 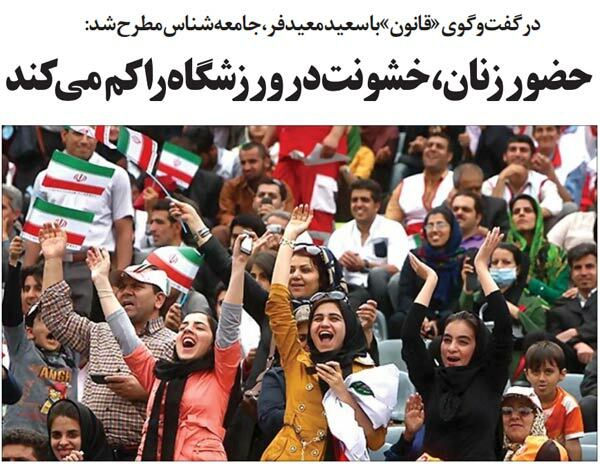 Women had been barred from attending volleyball tournaments under a 2012 decree, in violation of international rules. "From now on women can watch beach volleyball matches in Kish if they observe Islamic rules," said Kasra Ghafouri, acting director of Iran's Beach Volleyball Organization. The Kish Island Open is a premier international men's tournament organized by the International Volleyball Federation (FIVB) as part of the FIVB Beach Volleyball World Tour. Women were not allowed to attend the first Kish Island Open, in February 2016, in spite of previous assurances to the FIVB by Iranian officials, prompting renewed calls for reform and a reversal of the discriminatory 2012 ban. "The Iranian authorities' decision to allow women to attend the Kish Island beach volleyball tournament is a step in the right direction," said Minky Worden, director of global initiatives at Human Rights Watch. "It shows that sports federations like the FIVB have the power to enforce the basic requirement that all countries have to play by the rules and that they don't get a pass on discriminating against and excluding women." In June 2014, Ghoncheh Ghavami, a law student, and several others were arrested when they attempted to attend a Volleyball World League match at Tehran's Azadi Stadium. While most were released soon thereafter, Ghavami was rearrested, charged with "propaganda against the state," and held in Evin Prison - including a stretch in solitary confinement - for nearly five months. In October 2015, Human Rights Watch launched its #Watch4Women campaign, seeking a commitment from the FIVB to exclude Iran from hosting volleyball tournaments until the country ended its ban on female spectators. The ban violates principle four of the FIVB's own constitution, which prohibits discrimination. Human Rights Watch also wrote to Iran's sport and youth minister, urging a reversal of the 2012 ban. In May 2016, Human Rights Watch sent a letter to FIVB President Ary Graca asking for a formal investigation into the exclusion of female spectators from the 2016 Kish Island Open. In a subsequent letter to Graca, in October, and in meetings at the FIVB's Lausanne headquarters, Human Rights Watch urged the federation to cease awarding Iran the right to host FIVB international tournaments until female spectators could freely attend volleyball matches in their own country. Human Rights Watch has worked closely with women's rights and sports groups, including OpenStadiums, a "movement of Iranian women seeking to end discrimination," as exemplified by the 2012 ban. "Iranian women should be able to enter stadiums as freely as their brothers or husbands," said "Sara," a leader of OpenStadiums who uses a pseudonym for fear of retaliation. "This small but important step at Kish Island can and should lead to more open spaces and opportunities for women and girls in Iran." "The FIVB's apparent insistence that women have a right to be at this beach volleyball tournament draws an important line in the sand," Worden said. 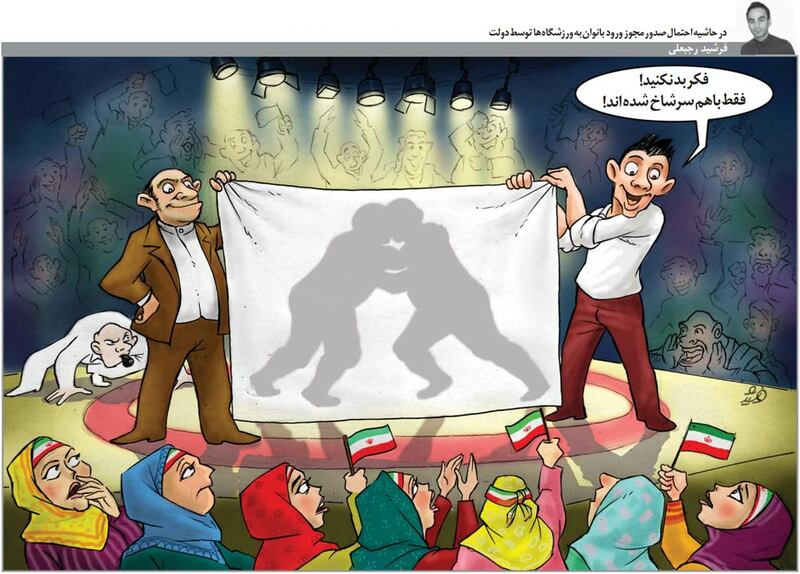 "The real test will be whether this change is durable, and whether Iranian women can purchase tickets and attend the World League tournament at Tehran's Azadi Stadium in June."